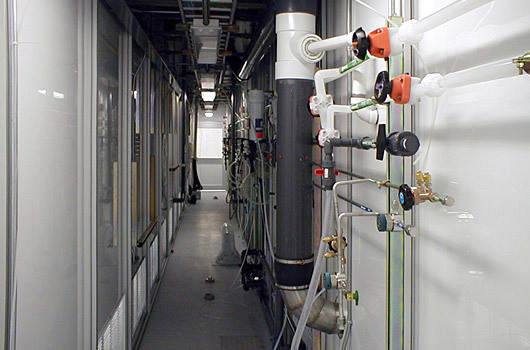 A modular cleanroom made with the Lasco 175 Wall System. The Lasco 175 is an inexpensive, aesthetic, functional way to create a cleanroom environment for both new construction and retrofits. Use the Lasco 175 System to laminate existing walls or create perimeter return air chases. The Lasco 175 system provides an excellent alternative to epoxy or painted surfaces. 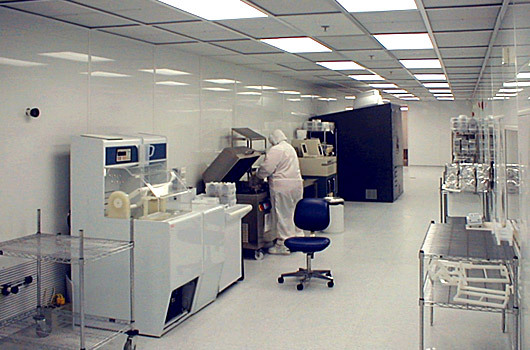 It can also be used for bulkheading around cleanroom equipment, creating pass-throughs, and serving as a bay wall.